It’s a short post today, I apologize. The continuation of Asura’s story will resume again next week. 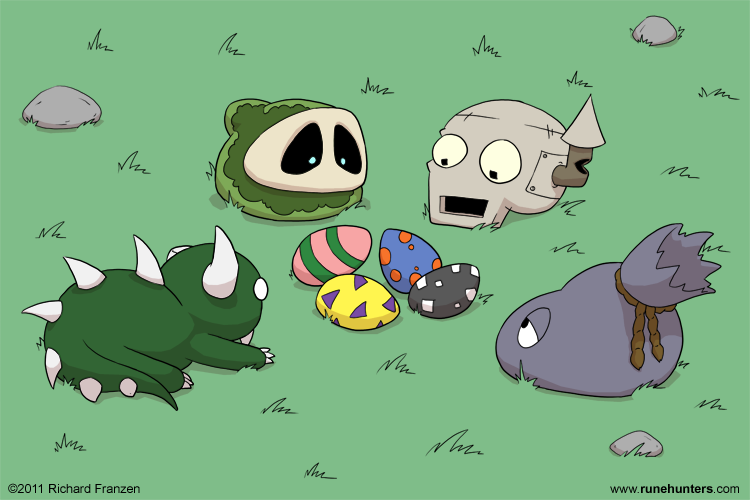 Until then, enjoy a little holiday themed picture as Steve’s head, the Hodag, Bago and gelba discover some randomly placed Easter eggs. arrr! i wanted to see waht happends next T-T i cant wait i love this comic!